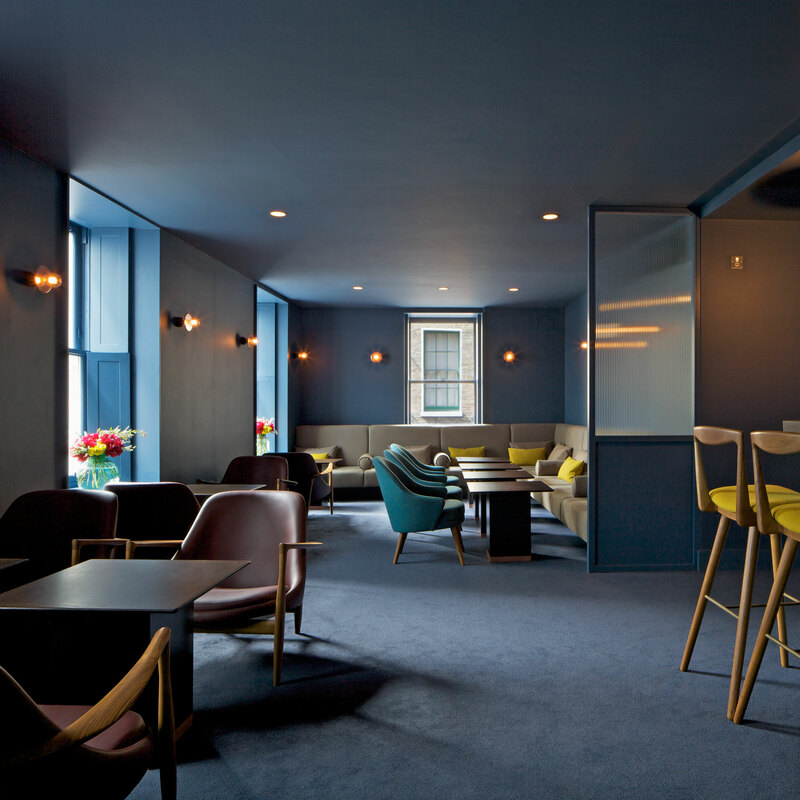 Universal Design Studio completed the refurbishment of the St John Hotel and restaurant in London’s Soho. 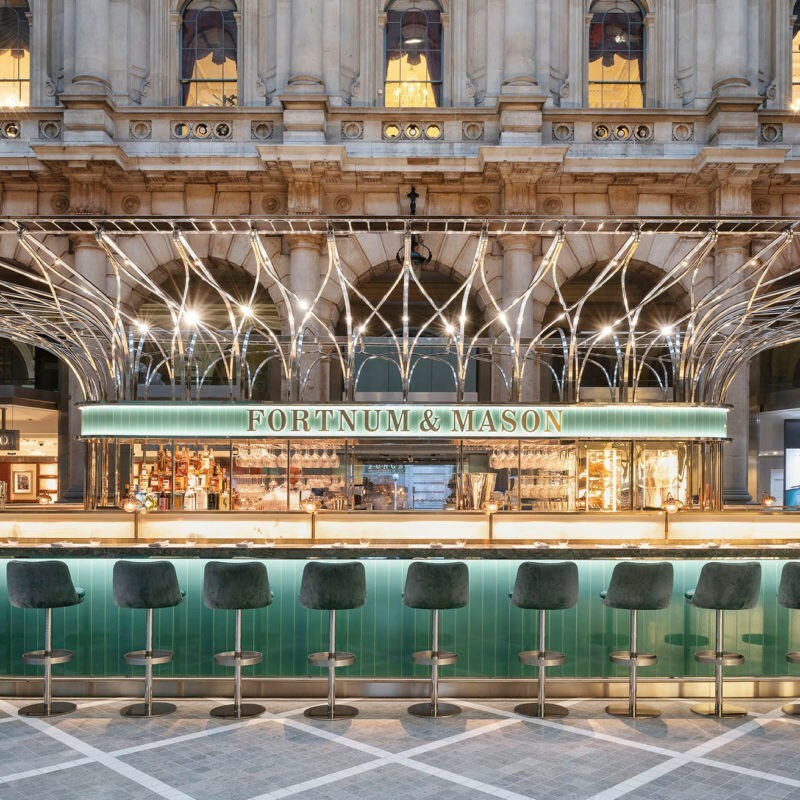 Under the new ownership of Singaporean hotelier Peng Loh and michelin-starred Chef Patron Tomas Harris, Universal were asked to transform the existing austere environment, into a warm, inviting space that felt both fresh and atmospheric from breakfast through to dinner and evening drinks. 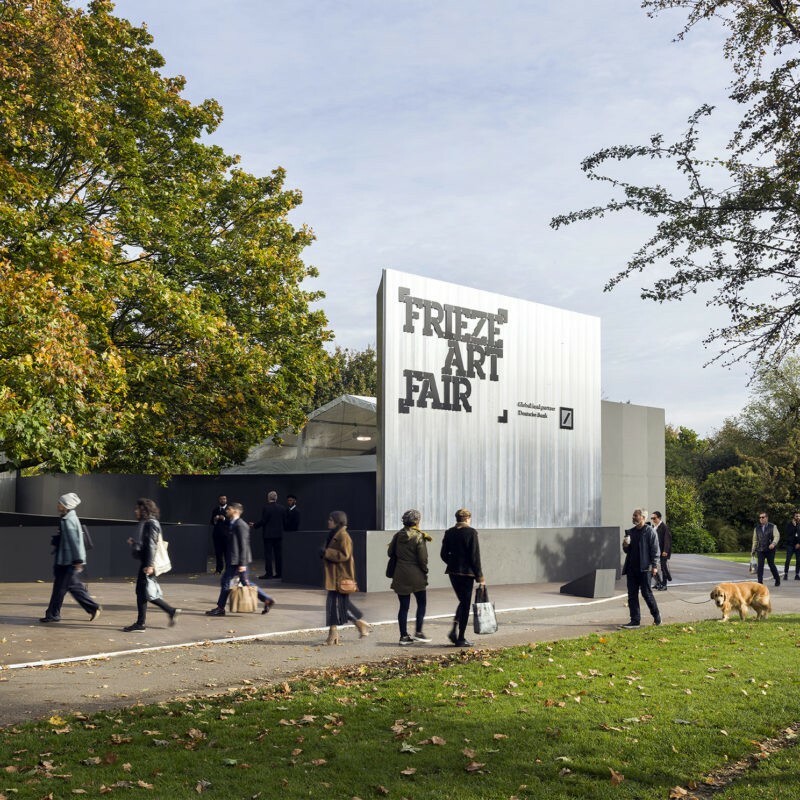 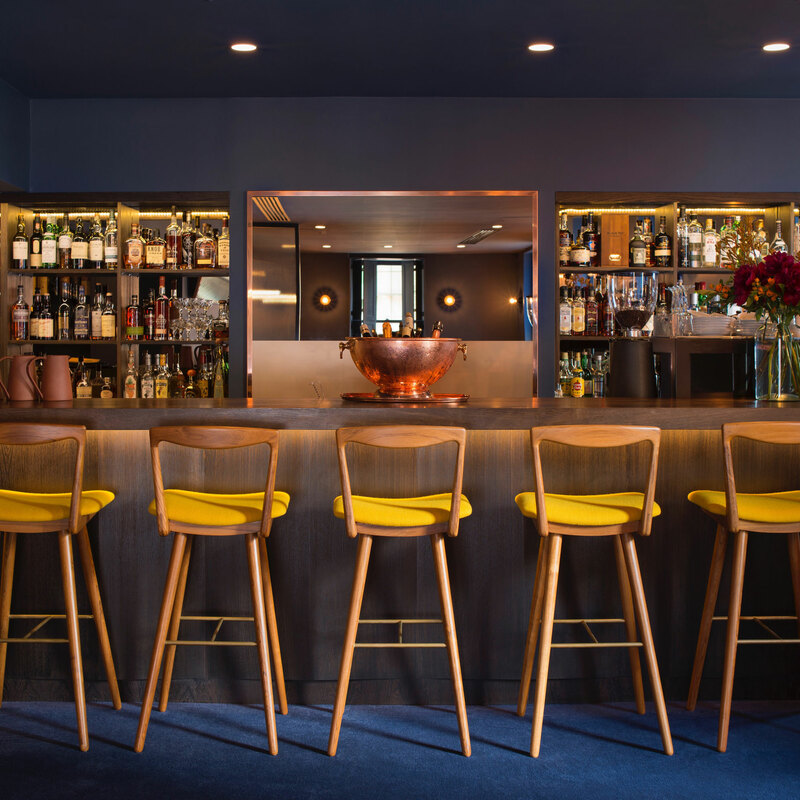 The iconic site was transformed into a sophisticated and intimate dining room and bar through the use of soft colour palettes, bespoke lighting and quality furniture pieces, providing a comfortable and luxurious environment. 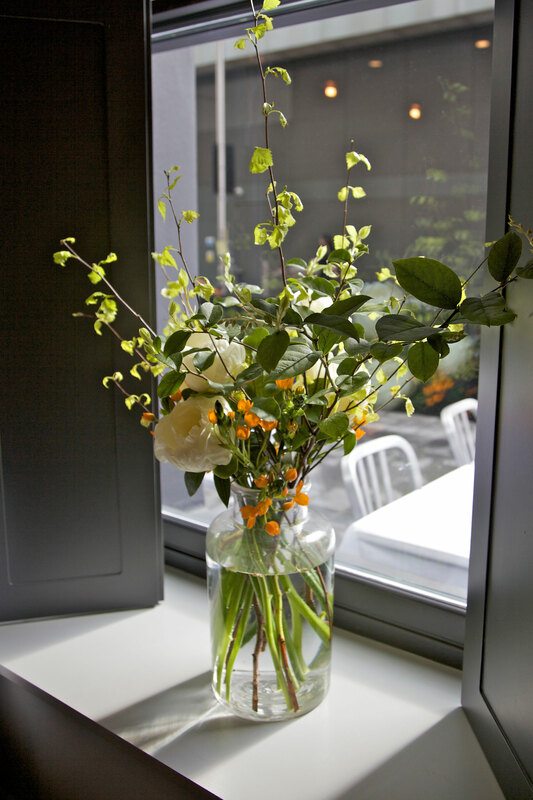 In the restaurant, dusky grey walls are set against oak parquet flooring, creating a welcoming and relaxed atmosphere. 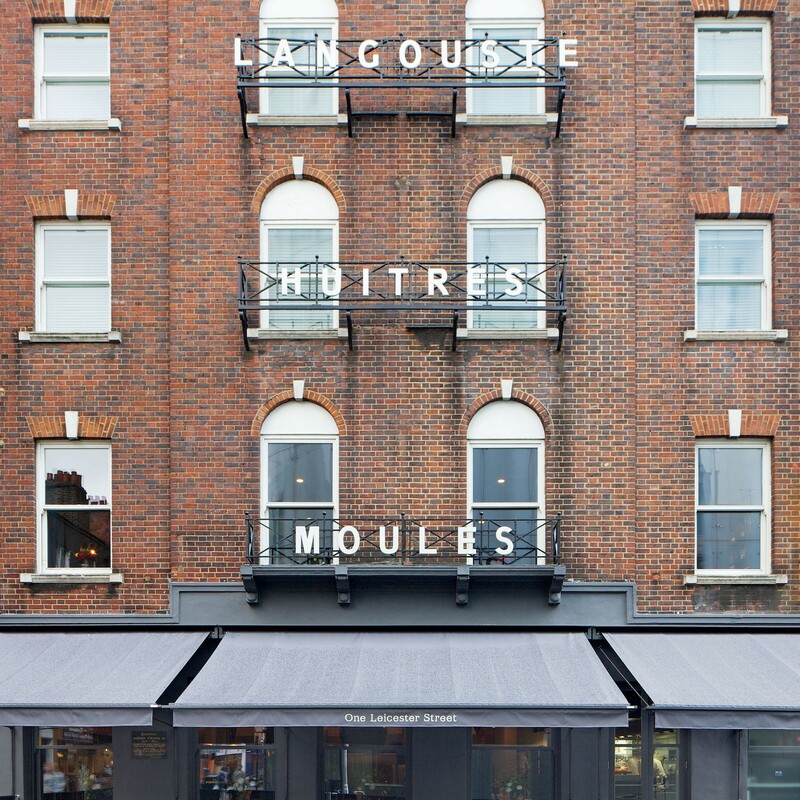 A generous leather banquette lines the length of the restaurant, offering views to the terrace and street. 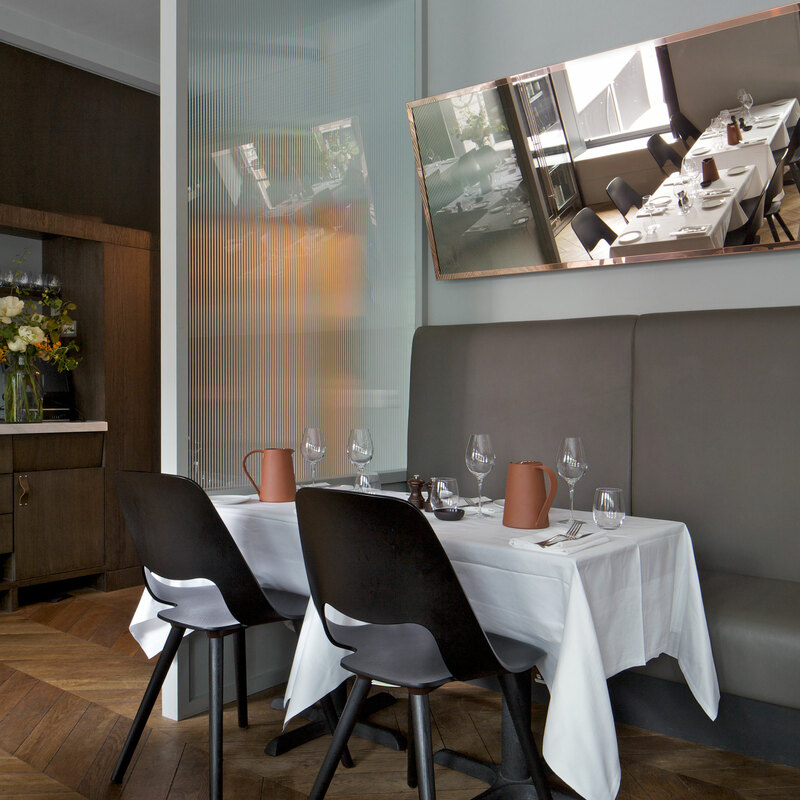 Black ash timber dining chairs are paired with white tablecloths and bespoke copper lights suspended overhead. 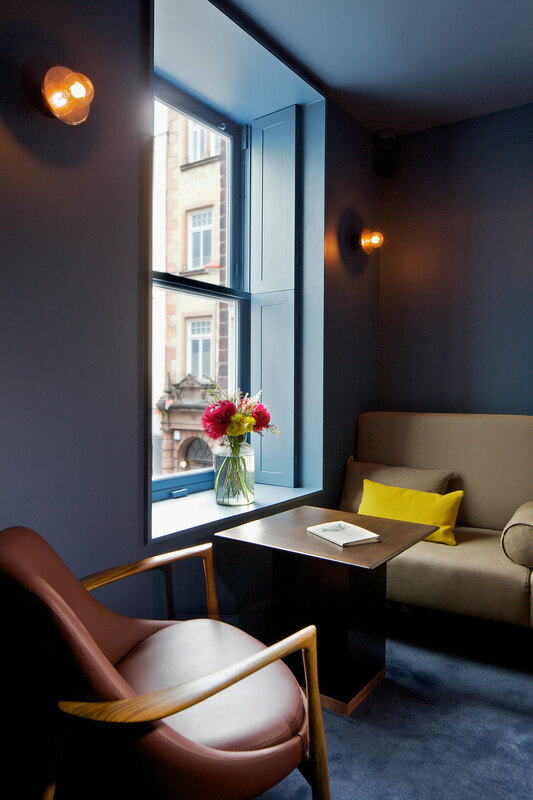 With deep blue walls, an oak panelled counter and vintage seating; the first floor bar is a secluded spot for informal meetings during the day and cocktails by night.